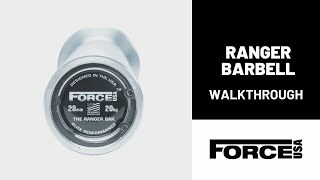 The Ranger Barbell, by Force USA, is designed for the focused home garage gym trainer. Dont mess about with nasty, mass produced barbells. Save money by buying a strong, quality Olympic Weightlifting Barbell that wont break the bank. With standard dimension knurling and IPF/IWF positioning, the Ranger Barbell is the ideal all-rounder for anyone looking to start lifting heavy things. The Ranger has a 28mm shaft diameter. The optimum grip diameter for Olympic Weightlifting movements. Every Ranger Barbell shaft is ground and polished before machining. 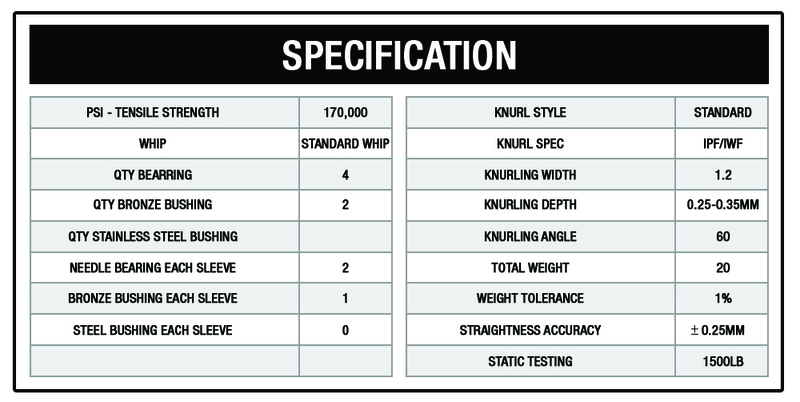 This provides a refined finish and weight accuracy tolerance within 1%. The Ranger barbell has 4x bearings which give the sleeves great spin. Combined with bronze bushings, the bar has an extremely smooth feel throughout the lift. Bronze bushings are higher quality than brass. They provide a smoother spinning movement and also self lubricate so they last longer. The Ranger barbell has 170,000 PSI tensile strength. In other words, extremely durable and heavy duty. The Ranger Barbell sleeves are immersed in a bath and zinc is plated onto the steel. Bright Zinc gives a premium quality finish and strong corrosion resistance. The shaft on The Ranger Bar is finished in Black Zinc. A much higher quality finish than oxide with far superior rust protection. This provides a surface which takes chalk well and provides an excellent feeling in the hands. It looks mighty fine too. Was loooking for a home barbell that could also be used for Olympic weightlifting. This is the best value for money barbell I found and very happy with my purchase ! This is a great barbell, the price makes it even better. I use it exclusively for my bench press and for deadlifting and I'm loving it.